This is nothing to do with the journey except that I better appreciate good writing now that I have done some blog posts. Suiting up copied below is blog a blog I love about a city guy who moves to the country. What I wanted was a head-to-toe biohazard suit. Unfortunately, I did not have one at hand. So instead I went to the garage and got a pair of garden gloves. 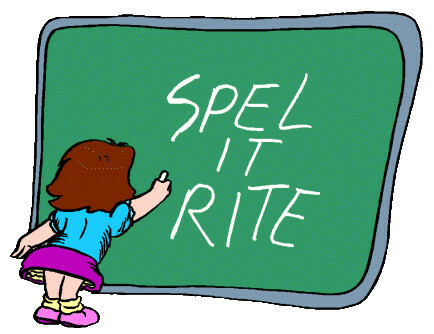 Now another sub topic – my chimp cannot spell and has a pretty sloppy grasp of grammar and also tends to miss insignificant words out. I have noticed this for the first time after reading the Dr Steve Peters book.I had an inkling that the quality of my literary endeavours varied but I didn’t know why. My chimp is quicker than I am at creating the thoughts ideas and processing them but he is not so hot on details so in full flow I vast blob of creativity can emerge but I then have to try to fashion it into something that other humans can understand. 1993-2005 Works at Rampton secure hospital as a forensic psychiatrist. 1994 Begins work as a senior clinical lecturer and undergraduate dean at University of Sheffield. 2001 Turns to cycling and befriends Dave Brailsford, now British Cycling performance director. Among first pupils are Chris Hoy and Victoria Pendleton. Goes on to work with GB Olympic cycling team and Team Sky. 2002 Works with police to profile Ian Huntley during investigation of the Soham murders. 2007 Aids England rugby union team as they reach World Cup final. 2011-12 Helps to revive Ronnie O’Sullivan’s career as snooker player wins fourth world title. October 2012 Handed role with performance team at UK Athletics. November 2012 Peters branches out to football to work with Liverpool. Having initially become involved with British Cycling in 2001, Steve now works with riders, coaches and the staff team, and his contribution is deemed so valuable that Dave Brailsford, the Sky team principal, has described Steve as “the best appointment I’ve ever made.” The voice of reason‟‟ according to Sir Chris Hoy, if you ask Steve to describe himself he uses the words: the mechanic of the mind. Steve has been an unobtrusive yet powerful influence in a recent run of success which included the 2008 Beijing Olympics and a key element in the success of Sir Chris Hoy and Victoria Pendleton.His career began with teaching Mathematics and then moved on to Medicine. With a specialist interest in the working of the human mind and how it can reach optimum performance applied to all walks of life, Steve has worked in the clinical field of Psychiatry for the past twenty years. In addition, Steve has been engaged with Sheffield University as a Senior Clinical Lecturer since 1994 and is also Undergraduate Dean. He holds degrees in Mathematics, Medicine and a Masters degree in Medical Education, also with postgraduate qualifications in Sports Medicine, Education and Psychiatry.Steve is a Psychiatrist, who has worked with some of the country’s most successful sports people including; Sir Chris Hoy, Bradley Wiggins and Victoria Pendleton. His simple but ground breaking model of how the human brain functions, and particularly how it is DYSFUNCTIONAL, provides a completely new and innovative way of enabling leaders to inspire, motivate and drive their teams to even greater performances, as well as helping individuals understand themselves better and therefore perform at their best. Through a highly interactive, thought provoking and practical workshop, Steve works with delegates to explore the implications of his model. His calm, credible and engaging approach helps peoples to tap into new techniques and ways of thinking in order to set and achieve strategic goals in the toughest of environments. – Understanding the Mind – Basics and Particulars. – The Model explained – Always two perspectives/interpretations and reactions with any encounter. – Managing your own “Chimp” and other people’s “Chimps”. – Teamwork. Leadership, collaboration and inspiration.